AccuraCast SearchStarz Blog: iPad games become mandatory coursework. At Olds College in Olds, Canada, playing video games has become far more than a distraction from work and has actually become a required piece of work itself! The game in question is called Lemonade Stand and has been introduced to the curriculum as part of a mandatory class on entrepreneurship. 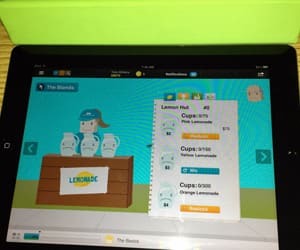 It is hoped that the management of a virtual lemonade stand will help students to realise what kind of work goes into the running of all kinds of businesses. One of the challenges teachers face when incorporating video-games into the classroom is resistance from parents who see it as representing a 'dumbing down' of education. However, many teachers remain adamant that to really engage children you need to bring education to them, rather than force them towards it.